Amazing Energy! Wondrous Blessings! Words cannot describe how amazingly successful Lillian Too's Sacred Amulets and Mantras - Third Dimension of Feng Shui event turned out to be! We were completely blown away by the fantastic turnout at Suntec! 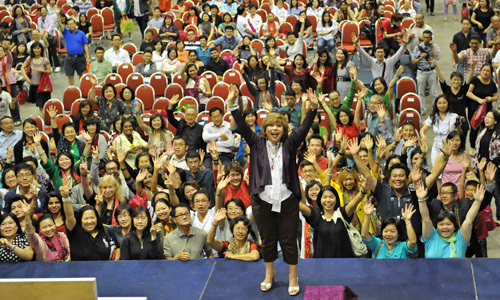 With over 1000 people, this year's audience was double the size of last year's event, with students and friends flying in from all around the world specially to hear Lillian talk about one of the most important topics of feng shui - the Spiritual Dimension, the cosmic dimension! 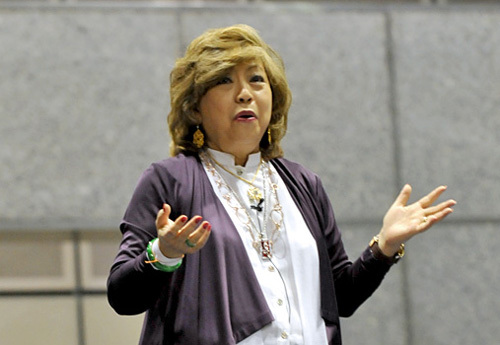 Lillian Too started the day's lecture by explaining why SPIRITUAL FENG SHUI is now more important and relevant to our lives than ever before! She explained that when the elements of the time and space dimension are imbalanced, it creates the causes and conditions for cosmic energies of the world to go out of sync! When the cosmic forces are out of sync, the spirits who guard the four cosmic elements of WIND, WATER, EARTH and AIR play havoc with our world - resulting in massive disasters like earthquakes, floods, storms, disasters, etc. Hence Lillian introduced her readers and fans to the amazing world of the COSMIC realms and SPIRITS. These cosmic forces are fierce that space and time feng shui alone are not enough to counter its effects! Hence it is vital that everyone learns a little bit about the cosmic realms and the right spiritual feng shui methods to deal with these energy imbalances. According to Lillian's interpretation of the astrological charts, these few years (from 2010 to 2014) show clashing space and time elements that will lead to major cosmic energy imbalances! This year's event was made even more precious than ever as we were graced by the holy presence of Kyabje Choden Rinpoche, a most highly revered Lama, who is the Guru of Lillian's beloved guru, who not only conferred showers of blessings on all who attended, he also empowered everyone with the most amazing oral transmission of truly powerful mantras! 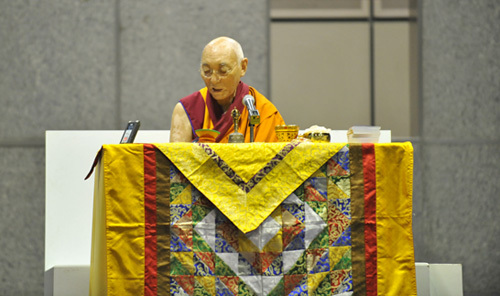 Lillian specially invited Kyabje Choden Rinpoche to this event so that everyone who attended could benefit from his pure energy and be so blessed when they chant their mantras. they are so effective in removing obstacles to ultimate happiness and success. 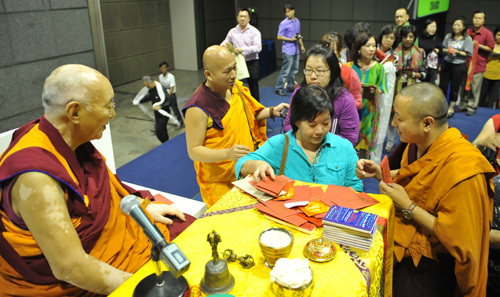 individual blessings and blessing threads from Choden Rinpoche! 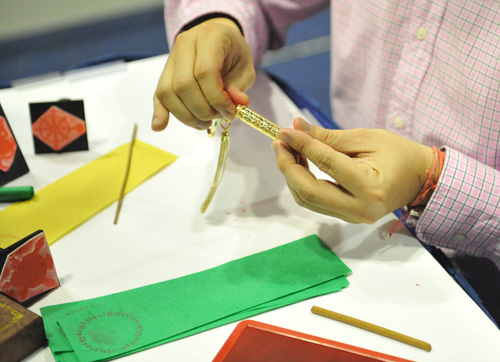 After the amazing session with Choden Rinpoche, Lillian Too got back on stage to teach her audience how to make their own amulets. them with the right mantras. We have had countless requests from people who could not make it to the event and wish they could view it in video online. Please sign up for Lillian Too's Mandala eZine if you wish to be kept informed, should this video be made available for viewing online.